It seems like great minds think alike when looking for places to drive change. I am excited to see the work that the Beautiful Earth Group is doing to drive the awareness of a solar powered option as well as a electric vehicles. I guess that Redhook will be the first stop on a NYC Eco-Tourist vacation. Hey that's an idea! Our building will include provisions for a solar powered charger for a car and motorcycle. All we need is the electric car. If any electric car manufactures (GM, Telsa, Fishker, Mini or Audi) are looking for great places to test new products keep me in mind. I just love evaluating and writing about new technology, especially in cars! We have great news for green-eyed New Yorkers who have been coveting San Francisco’s sophisticatedelectric vehicle charging systems. 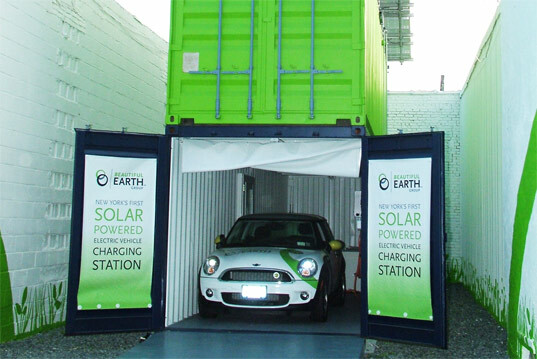 Beautiful Earth Group, a New York-based sustainable energycompany, just unveiled its solar-powered electric vehicle (EV) charging station in Red Hook, Brooklyn. The new station is the first ever in our city and another momentous stepping stone of a greener future for NYC. 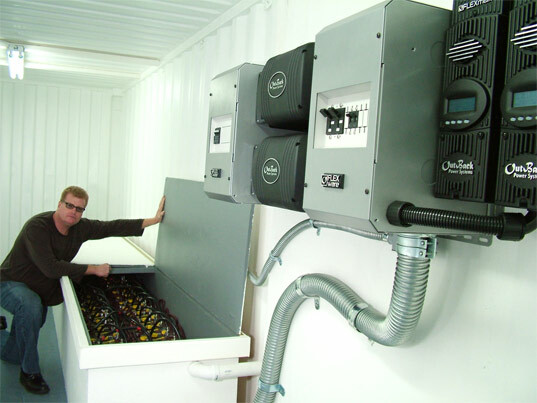 Located on an industrial lot near the Beautiful Earth’s headquarters overlooking downtown Manhattan, the off-grid, modular station is constructed of recycled steel shipping containers and powered solely by 235 wattphotovoltaic panels. The car that is currently being charged at the station is a 100% electric BMW MINI E, and is now one of the few cars in the world to run exclusively on solar power. 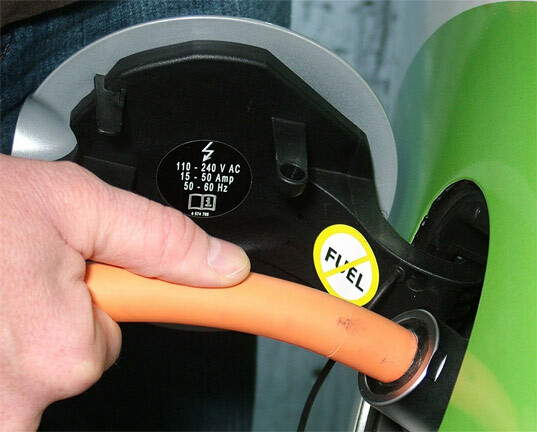 The vehicle has a range of just over 100 miles and takes about 3 hours to charge. With so many major car companies planning to launch electric or plug-in hybrid cars next year, it makes sense that one of the biggest cities in the world, NY, will need charging stations. And BE’s station isn’t just for charging automobiles. It can also produce enough energy to power a small home, and has a battery bank that can store electricity 24/7 for on-demand usage. “It never ceases to amaze me, when I get behind the wheel of this 95 mph sports car, that it doesn’t use a single drop of gasoline, and that all of its power comes from the solar energy we collect right here on the Brooklyn waterfront,” said BE president and CEO Lex Heslin about the groundbreaking development.